Floating pennywort (Hydrocotyle ranunculoides) is an invasive aquatic plant which is native to North America. It was first brought to Britain in the 1980’s to sell as a plant for tropical aquaria and garden ponds. Floating pennywort spreads rapidly from small root fragments and forms dense interwoven mats of vegetation. It can completely cover the surface of slow flowing rivers, streams, ditches, dykes lakes and ponds. Once established this plant causes significant impacts on the ecology, hydrology and amenity uses of the water body. During ideal conditions established colonies have been recorded growing up to 20 cm per day! Floating pennywort is listed under Schedule 9 to the Wildlife and Countryside Act 1981 with respect to England, Wales and Scotland. As such, it is an offence to plant or otherwise cause this species to grow in the wild. 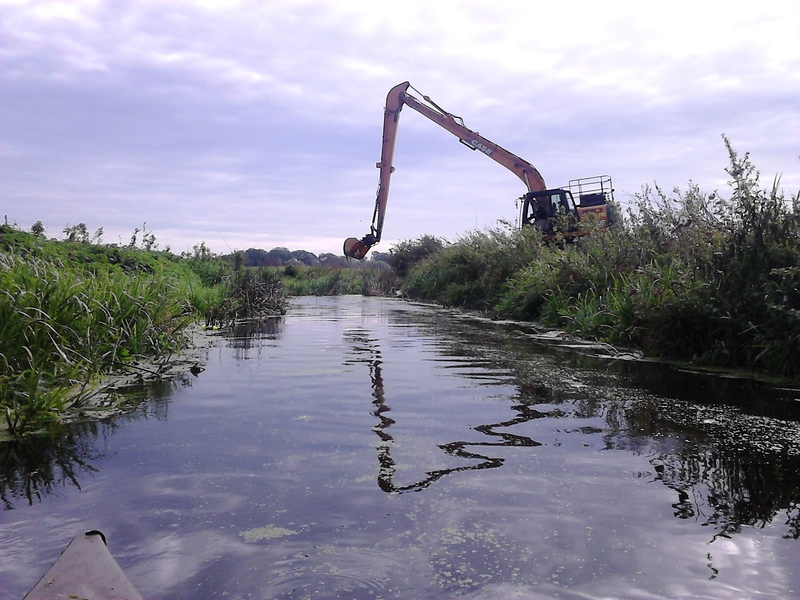 Floating Pennywort can be removed with long reach excavators or weed cutting boats. These methods offer a short term reduction as it is capable of growing back quickly from a single node. Mechanical removal can be carried out to reduce the overall biomass for subsequent chemical treatment. 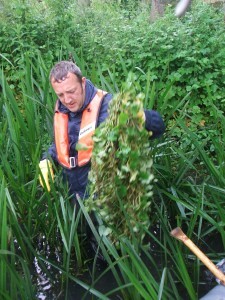 Native Landscapes have successfully eradicated Floating Pennywort from a number of sites in the UK. We have been providing invasive weed control services for over 20 years and conform to all current legislation and guidelines. We can provide advice, carry out site assessments, provide a “Weed Management Plan”, carry out on site operations, supply machinery, equipment and herbicides. 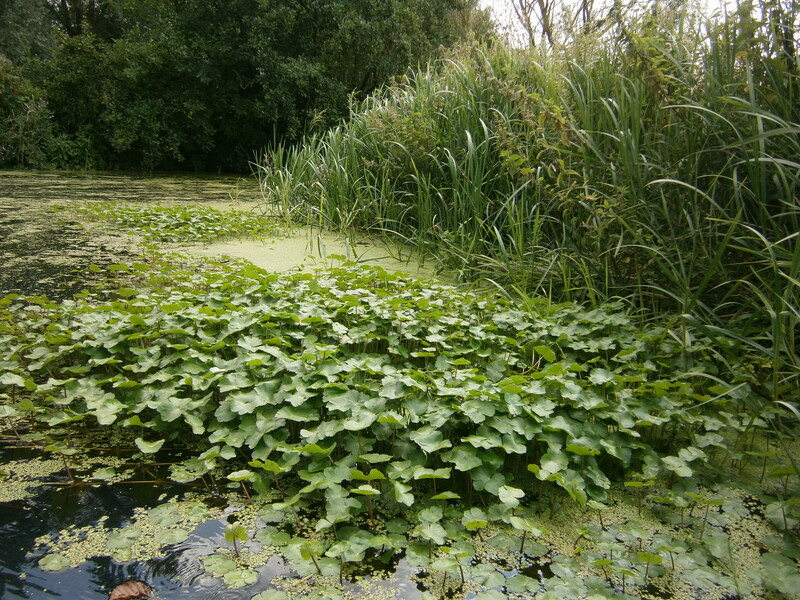 Floating Pennywort can be controlled and eventually eradicated by implementing a “Weed Management Plan” which includes mechanical removal (if necessary), followed by herbicide treatment (if required) and manual removal, which can be carried out using chest waders or from a suitable water craft. 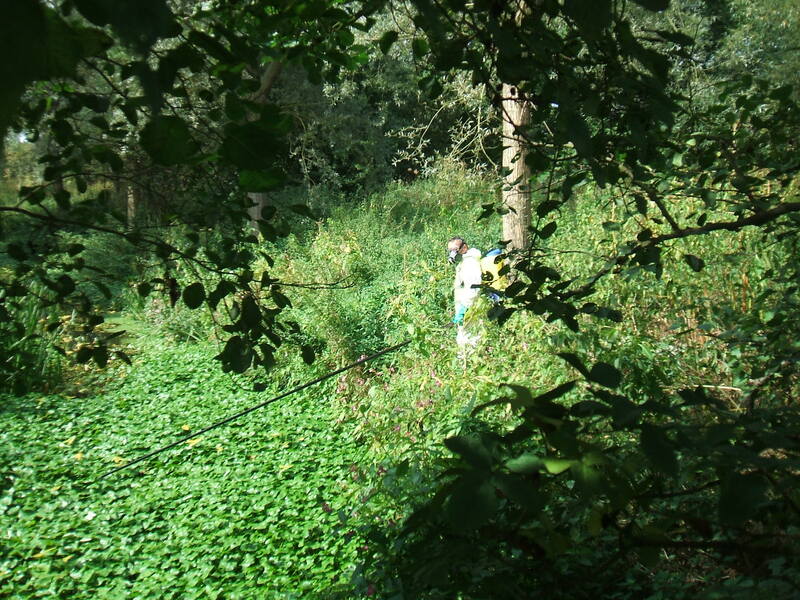 Native Landscapes have successfully eradicated Floating Pennywort from sites in the UK. We carry out manual removal operations using a selection of water craft, specialist tools and equipment. All operatives are suitably trained and insured to carry out work in or near water. Herbicides treatments can work well on this plant however the decomposition of plant material may take as long as six weeks in slow flowing water bodies. With established colonies spray applications may not reach all the leaves at the first attempt. It is therefore essential to carry out a follow-up treatment about 2 to 4 weeks after the first application. Agreement must be obtained from the local Environment Agency office before application of herbicides in, on or near water. Native Landscapes have been providing specialist weed control services (including herbicide applications) for over 20 years. We conform to all current legislation and guidelines on invasive weed control in or near water.